Taking a day trip on the weekend and have a question? Many visitor information centers are not open. 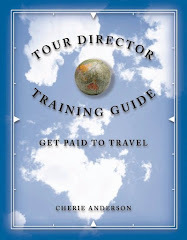 My solution, create 3 e-guides (9-10) pages (Pdf) with answers to many of these questions to help travelers. Available now with a donation of $5 for each region. As of now, this information is not sponsor driven and thus, the reason we ask for donations. E-Guides are in PDF format, to be downloaded on your smart phone or they may be printed. With printed copies, fold lengthwise like a map, and carry with your map. Information includes Tourist Tips, Helpful Hints, and Insider Information. And, I will also add your to our vacation email list, which is confidential. Let's go on vacation and have fun! You may also find these E-Guides at our Local page on Lighthouse Travel & Tours. If you should have any challenges, please contact us ASAP.